The payment receipt of your visa fees. 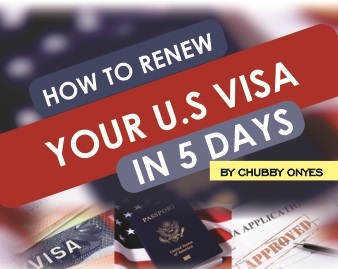 A valid International Passport – Your international passport must be valid for at least 6 months beyond your intended period of stay in the United States of America. For example, if you are intending to arrive in the United States on the 3rd of June 2018, your international passport should be at least valid up to December 2018. If you are applying as a family, the international passports of all applicants must meet this requirement. DS 160 Confirmation Page – This is the result page from filling out your DS – 160 application online. This page contains the names, passport number, serial numbers, barcode and other details of the applicant. In other words you must complete and submit your DS 160 U.S. visa application before you will be given this confirmation page. The payment receipt of your visa fees – This is the receipt of your visa fees which you paid at GTBank. If you are applying as a group, then you will have to provide the visa fees receipt for each member of your group. Valid email address and telephone number – A valid email address is needed because when you have booked an interview date, the schedule of that appointment will be sent to your email address. If for any reason your appointment day is changed or cancelled by the embassy, you will be contacted via your phone number. Go to the U.S. visa application website. Click here to go to the U.S. visa application website. Click on “New User?” This will enable you to create a new profile for yourself on the site. When the page opens, you will be required to fill in your information and submit (Email, First & Last name and intended password). After submitting your details, your dashboard will be opened to you. Click on “Schedule Appointment” on the left-hand side of the dashboard. This will start the process of scheduling your appointment. Visa fees receipt number. This is the unique identification number (UID) that is written on your visa fees receipt from GTBank. Personal data (usually on your passport). Visa type (B1/B2, F1, etc.). Add dependents. This is necessary if you are travelling as a family. Bear in mind that you will have to fill out the DS 160 form and pay for visa fees for every member of your family that is traveling with you. Document delivery location (Abuja, Lagos, Port Harcourt, etc.). Schedule the day and time you will be available to attend the interview. A copy of your appointment schedule will be sent to the email address you provided. Finally, attend your U.S. interview appointment. Be neatly dressed, on time and with all necessary documents. U.S. Visa Fees in Nigeria. How to Fill the U.S DS 160 Visa Application (With Pictures). How to Schedule U.S Visa Appointment for Family in Nigeria. Visa Interview Sample Questions and Answers. If you are thinking about rescheduling your appointment, note that you will not be able to view the appointment calendar until you have cancelled your current appointment. In other words, until have you cancelled your current appointment, you will not be able to view the appointment calendar. This can be done by selecting “cancel” or “reschedule” appointment on your summary page. Are you interested in scheduling U.S visa interview appointment, let our team at travelvisa.ng help you out. Contact us via our email: assist@travelvisa.ng or phone number: +2347033378184. Hope to hear from you soon. For questions and suggestions, use our comment area below. how do i pick emergency date? Please, I want to know the next available visa appointment date. It’s very urgent please. what are the available u s interview dates now? sir, I intend to book an appointment for a US invitation in August, but all the dates seems to be booked, what do I do in this case to get a date. play indeed ur response. thank you. How do I get my DS confirmation number?